You don't believe in all that stuff do you Ed? I'm so glad we live in this enlightened age, based on science and evidence, not myth and superstition. Now we know for a fact there was no such thing as volcanoes. I don't care what science says - I was born a volcanologist and I'll die a volcanologist. I don't associate brimstone with the Bible, which is surprising I suppose, as I do associate Frankenstein with monster, French people with snail's legs, and you with chilled watermelon. I associate brimstone with the likes of Jonathan Edwards, but more especially with Amos Starkadder, the hell-threatening preacher to the 'Church of the Quivering Brethren' in Stella Gibbon's Cold Comfort Farm.
" Ye miserable, crawlin' worms. Are ye here again then? Have ye come like Nimshi, son of Rehoboam, secretly out of your doomed houses, to hear what's comin' to ye? Have ye come, old and young, sick and well, matrons and virgins, if there be any virgins amongst you, which is not likely, the world being in the wicked state that it is. 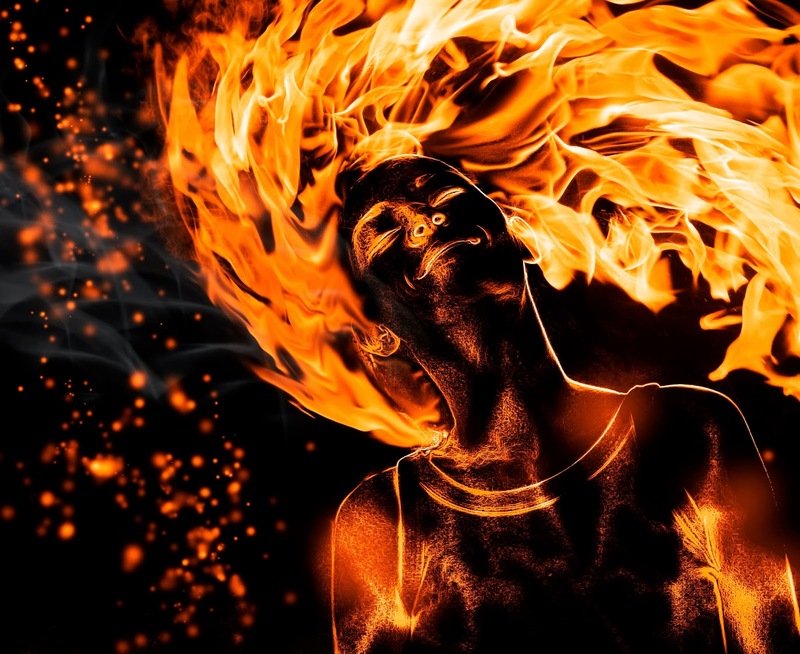 Have ye come to hear me tell you of the great, crimson, licking flames of hell fire? Aye! You've come, dozens of ye. Like rats to the granary, like field mice when it's harvest home. And what good will it do ye? You're all damned! Damned! Do you ever stop to think what that word means? No, you don't. It means endless, horrifying torment! It means your poor, sinful bodies stretched out on red-hot gridirons, in the nethermost, fiery pit of hell and those demons mocking ye while they waves cooling jellies in front of ye. You know what it's like when you burn your hand, taking a cake out of the oven, or lighting one of them godless cigarettes? And it stings with a fearful pain, aye? And you run to clap a bit of butter on it to take the pain away, aye? Well, I'll tell ye, there'll be no butter in hell!" Thanks C, and thank you for quoting from one my of favourite (and one of the funniest) books of all time. When researching this, I was very careful with brimstone and the Bible, so as not to either quote the Bible out of context or make an assumption from my faulty memory as to what it says about it. However, the phrase in English "fire and brimstone" undoubtedly comes from the Bible, and although I quoted Genesis as evidence (mainly because of the fame of Sodom and Gomorrah), I could have selected several other references as well. 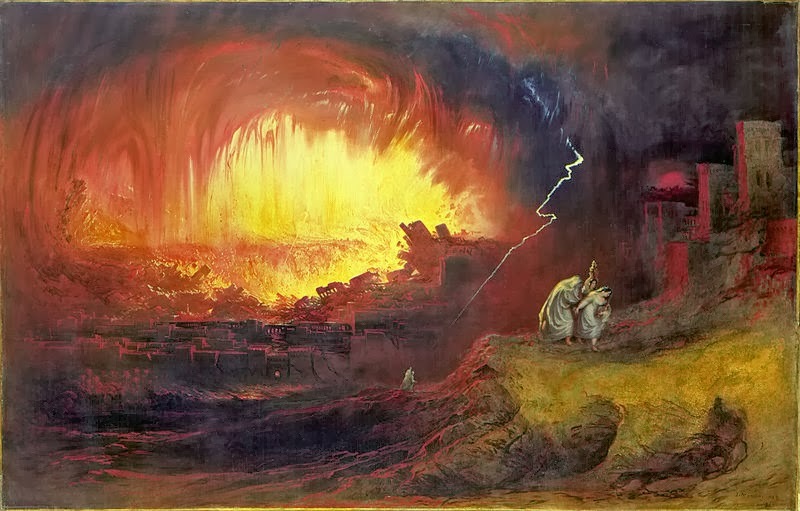 What it might mean in any given Scripture, of course, might be open to debate, and was another reason I chose the Genesis account, as it refers unambiguously to the destruction and annihilation of those two cities. However, when it comes to preaching, the term has been associated with that particular "you'll all burn in hell" style of preaching (a style which thankfully is receding), and most modern translations of the Bible have (I believe) now replaced 'brimstone' with 'sulphur'. As for Starkadder - pay him no heed; one should definitely *not* apply butter to freshly burned skin. Tsk. One of my favorites too, and there quite definitely was something nasty in the woodshed. I think I don't associate brimstone with the Bible because I was brought up with a much more modern and reliable translation than the King James Version, which was translated under a strict set of mandates from King James to conform with acceptable belief, as he and the church saw it, in the 17th century. I associate brimstone with religion, distinct from the Bible itself. Removal of words like 'brimstone' in modern translations (and this is just in my clueless and frequently lopsided opinion) doesn't dumb down the original text so much as remove unhelpful and unintended connotations. Oddly enough, I also associate Sulphur with Religion and wanton destruction far more than I would with Genesis or Revelation, mainly due to a remarkably inept Chemistry teacher at my school, Rev. Jones (Rev. for Reverend) who managed to blow up a staff bathroom (but not himself) whilst flushing old jars of assorted chemicals down the toilet in the pre-term cleanup, without first finding out if the chemicals themselves might violently object to such close proximity with each other. The acrid smell of eggy sulphur remained in the Chemistry department long after the lavatory, and Rev. Jones, had been replaced.